Increasing the degree of reuse in software engineering has attracted the interest of both researchers and practitioners for a long time and numerous methods and tools have been proposed. Among these software product lines are particularly interesting. A software product line has been defined as a "set of software-intensive systems sharing a common, managed set of features that satisfy the needs of a particular market segment or mission and that are developed from a common set of core software assets in a prescribed way" (Clements and Northrop). Software product line engineering (PLE) is the discipline of creating and managing software product lines. PLE aims at the development of a set of reusable assets and the derivation of particular products as instances of the variants represented in the product line model. In this module we apply a product-line approach to automatically generate software from feature specifications that characterise individual members of the product line. As a result, both software engineers and sales people of our industrial partner will be supported with innovative tools for planning and developing new product line members to maximise productivity and minimise defects and economic risks. 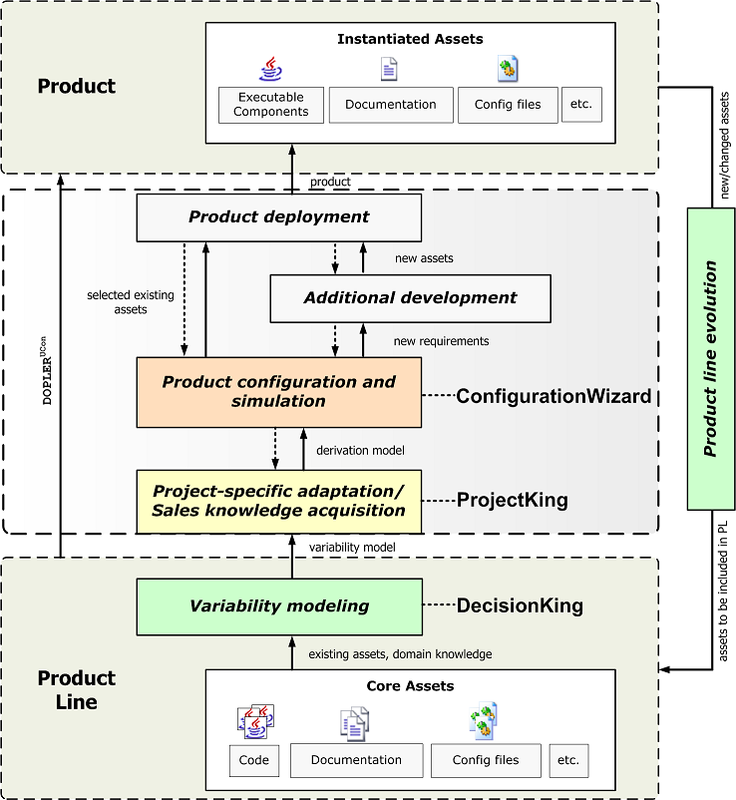 The novelty of our research lies in the combination of approaches for modelling stakeholder needs, product features, architectural elements, and variability, in introducing business decision-making into product line engineering, and in an novel approach for making feature-based product configuration accessible to non-software-experts. We are developing an automated approach for product line engineering in cooperation with Siemens VAI, the world's leading company in the domain of engineering and plant building for the iron, steel, and aluminum industry. The approach addresses both variability modelling and product derivation. DOPLERVM is a flexible and extensible approach for variability modeling. It supports adapting a core meta-model to different domains and to define the variability of core assets such as features, architectural elements, resources, or properties. An asset model defines the reused artifacts of the product line with their structural and functional dependencies. Examples for assets are components, documentation fragments, resources, or properties. User interventions that are needed to choose assets for a concrete product are captured as decisions. Decisions desribe the variability of the assets. They can be taken by different stakeholders such as sales people and engineers during product derivation. Decisions are related with each through hierarchical and logical dependencies. Assets specify an inclusion condition specifying whether a particular asset will be included in the derived product. DOPLERUCon is a user-centered approach for product configuration. It utilizes variability models and guides sales people and application engineers through product derivation. Particular emphasis lies on support for requirements acquisition and management. The approach also aims to make variability models accessible to "non-technicians" such as sales people or customers to fully exploit the benefits of PLE. Note: The animated tool demonstrations require the Adobe/Macromedia flash player integrated in your browser. We also recommend a fast internet connection. 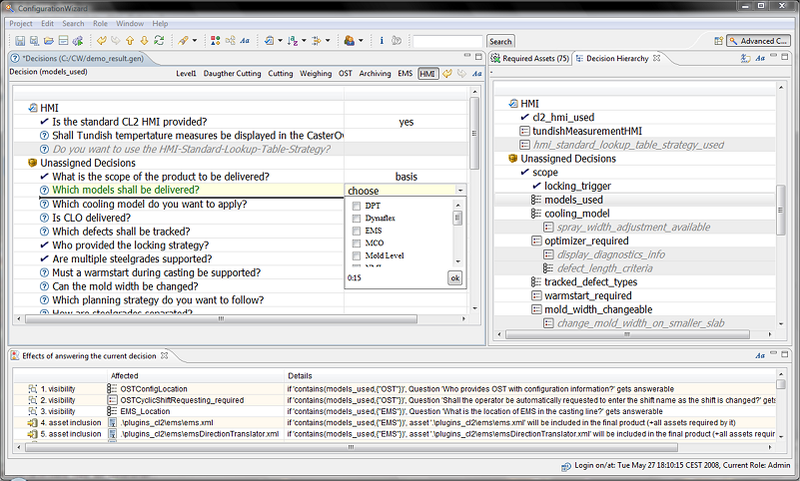 DecisionKing is a variability modeling and management tool. The tool can be parameterized by creating a meta-model defining concrete asset types, their attributes, and relationships. This enables the creation of domain-specific variability models according to the meta-model of the domain. 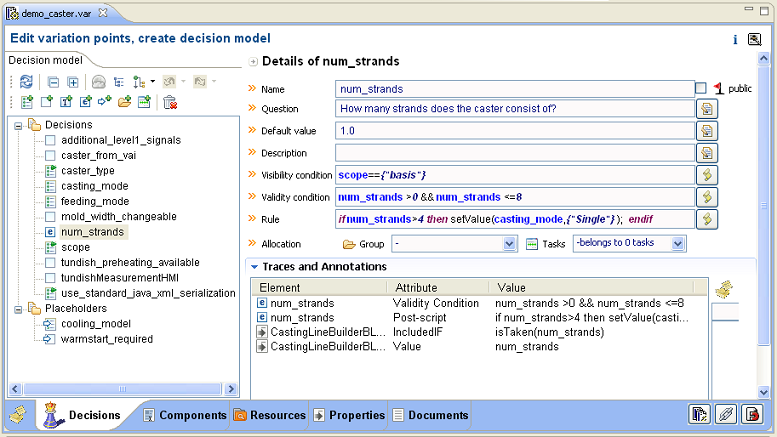 Relationships between decisions and assets are expressed in a JBoss-based rule language. DecisionKing also supports evolution of variability models. The tool is based on a plug-in architecture to ensure extensibility with arbitrary company-specific tools. DecisionKing: Modeling Variability with Decisions. ProjectKing guides and supports the product derivation and sales process. It takes DecisionKing’s variability models as input and enables project or sales managers to add project-specific sales knowledge. The tool allows to plan roles and responsibilities of product derivation stakeholders and to fine-tune variability models, e.g., by specifying default answers for decisions. ProjectKing allows capturing meta-information and recommendations on decisions by using multimedia objects (e.g., audio or video files) that provide further details and rationale for decision-taking. ProjectKing: Grouping Decisions into Tasks and Assigning Roles to Tasks. ConfigurationWizard provides capabilities for product customization, requirements elicitation, and configuration generation. It displays all decisions within the responsibility of a user as questions. The currently required assets can be displayed in a separate view. Graphs and trees visualize dependencies between decisions to ease navigation in complex models. Users can capture new requirements which are not yet covered by the product line and relate them with assets and decisions. Based on the currently required assets ConfigurationWizard generates initial product configurations that can for example be used to deploy the product or to launch simulators. 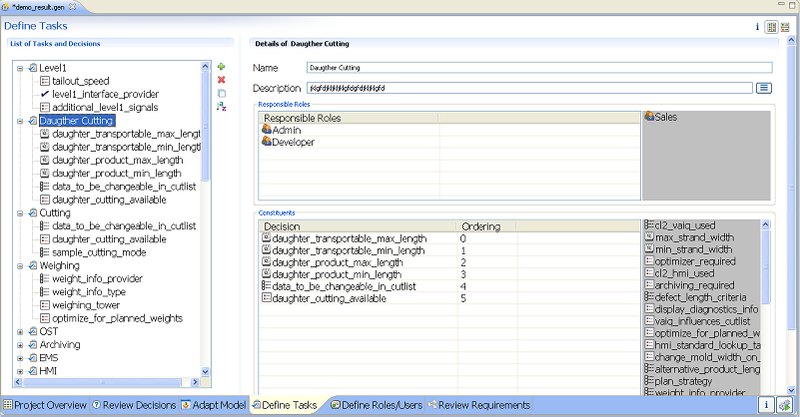 ConfigurationWizard: Tabular and Hierarchical Decision Views and Effects View. 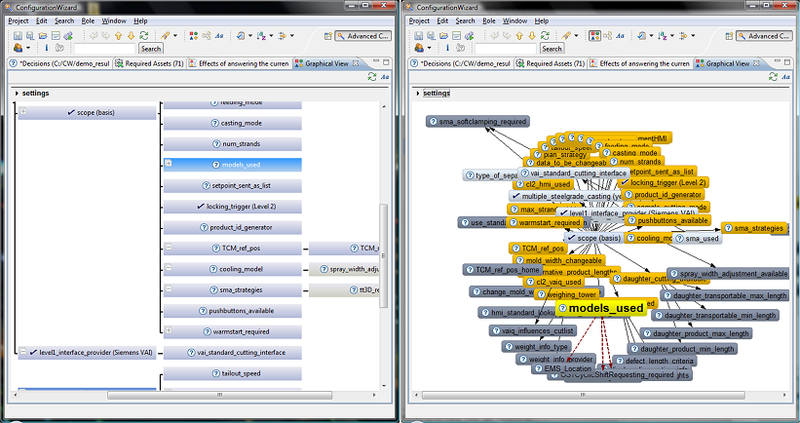 ConfigurationWizard: Eclipse Draw2D- and Zest-based Visualizer Views. The following tool demonstration shows how the ConfigurationWizard can be used to take decisions in product derivation. The following tool demonstration shows how the ConfigurationWizard can be used to capture new requirements not yet covered by the product line. Dhungana, D., Seichter, D., Botterweck, G., Rabiser, R., Grünbacher, P., Benavides, D., Galindo, J.A. : Integrating Heterogeneous Variability Modeling Approaches with Invar, Tool Demonstration, Proc. of the 7th International Workshop on Variability Modelling of Software-Intensive Systems (VaMoS 2013), Pisa, Italy, 2013. Schaefer, I., Rabiser, R., Clarke, D., Bettini, L., Benavides, D., Botterweck, G., Pathak, A., Trujillo, S., Villela, K.: Software diversity: state of the art and perspectives International Journal on Software Tools for Technology Transfer, Special Section on Software Diversity, vol. 14(5), pp. 477-495, 2012. Rabiser, R., Grünbacher, P., Lehofer, M.: A Qualitative Study on User Guidance Capabilities in Product Configuration Tools. Proc. of the 27th IEEE/ACM International Conference Automated Software Engineering (ASE'12), Essen, Germany, September 3-7, 2012, ACM, pp. 110-119. Vierhauser, M., Grünbacher, P., Heider, W., Holl, G., Lettner, D.: Applying a Consistency Checking Framework for Heterogeneous Models and Artifacts in Industrial Product Lines. 15th International ACM/IEEE Conference on Model Driven Engineering Languages & Systems (MODELS), Innsbruck, Austria, September 30 - October 5, 2012 (accepted for publication). Botterweck, G., Dhungana, D., Rabiser, R.: Fourth International Workshop on Model-driven Approaches in Software Product Line Engineering (MAPLE 2012). Workshop Summary, Proc. of the 16th International Software Product Line Conference (SPLC 2012), Salvador, Brazil, September 2-7, 2012, ACM, pp. 288-289. Rabiser, R.: SPLC 2012 Doctoral Symposium. Summary, Proc. of the 16th International Software Product Line Conference (SPLC 2012), Salvador, Brazil, September 2-7, 2012, ACM, p. 295. Heider, W., Vierhauser, M., Lettner, D., Grünbacher, P.: A Case Study on the Evolution of a Component-based Product Line. Joint 10th Working IEEE/IFIP Conference on Software Architecture & 6th European Conference on Software Architecture (WICSA/ECSA), Helsinki, Finland, August 20-24, 2012, IEEE, pp. 1-10. Jahn, M., Rabiser, R., Grünbacher, P., Löberbauer, M., Wolfinger, R., Mössenböck, H.: Supporting Model Maintenance in Component-based Product Lines. Joint 10th Working IEEE/IFIP Conference on Software Architecture & 6th European Conference on Software Architecture (WICSA/ECSA), Helsinki, Finland, August 20-24, 2012, IEEE, pp. 21-30. Lettner, D., Vierhauser, M., Rabiser, R., Grünbacher, P.: Supporting End Users with Business Calculations in Product Configuration. Proc. of the 16th International Software Product Line Conference (SPLC 2012), Salvador, Brazil, September 2-7, 2012, ACM, pp. 171-180. Heider, W., Rabiser, R., Lettner, D., Grünbacher, P.: Using Regression Testing to Analyze the Impact of Changes to Variability Models on Products. Proc. of the 16th International Software Product Line Conference (SPLC 2012), Salvador, Brazil, September 2-7, 2012, ACM, pp. 196-205. Holl, G., Grünbacher, P., Rabiser, R.: A Systematic Review and an Expert Survey on Capabilities Supporting Multi Product Lines. Information and Software Technology, vol. 54(8), pp. 828-852, 2012. Heider, W., Rabiser, R., Grünbacher, P.: Facilitating the Evolution of Products in Product Line Engineering by Capturing and Replaying Configuration Decisions. International Journal on Software Tools for Technology Transfer, Special Section on Software Diversity, vol. 14(5), 613-630, 2012. Heider, W., Grünbacher, P., Rabiser, R., Lehofer, M.: Evolution-Driven Trace Acquisition in Eclipse-Based Product Line Workspaces. In: Cleland-Huang, J., Gotel, O., Zisman, A. (eds. ), Software and Systems Traceability, Springer London, 2011, pp. 195-213. Czarnecki, K., Grünbacher, P., Rabiser, R., Schmid, K., Wasowski, A.: Cool Features and Tough Decisions: A Comparison of Variability Modeling Approaches. Proc. of the 6th International Workshop on Variability Modeling of Software-Intensive Systems (VaMoS 2012), Leipzig, Germany, January 25-27, 2012, ACM, pp. 173-182. Holl, G., Thaller, D., Grünbacher, P., Elsner, C.: Managing Emerging Configuration Dependencies in Multi Product Lines. Proc. of the 6th International Workshop on Variability Modeling of Software-Intensive Systems (VaMoS 2012), Leipzig, Germany, January 25-27, 2012, ACM, pp. 3-10. Benavides, D., Leucker, M., Becker, M., Rabiser, R., Villela, K., Wong, P.Y.H. : Formal Methods and Analysis in Software Product Line Engineering (FMSPLE 2011). Proc. of the 15th International Software Product Line Conference (SPLC 2011), Munich, Germany, 2011, IEEE CS, p. 336. Botterweck, G., Noda, N., Dhungana, D., Rabiser, R., Babar, M.A., Cohen, S., Kang, K.C., Kishi, T.: Joint Workshop of the 3rd International Workshop on Model-driven Approaches in Software Product Line Engineering and the 3rd Workshop on Scalable Modeling Techniques for Software Product Lines (MAPLE/SCALE 2011). Proc. of the 15th International Software Product Line Conference (SPLC 2011), Munich, Germany, 2011, IEEE CS, p. 340. Holl, G.: Product Line Bundles to Support Product Derivation in Multi Product Lines. Proc. of the 15th International Software Product Line Conference (SPLC 2011) - SPLC Workshops 2011, Doctoral Symposium, Munich, Germany, August 26, 2011, ACM, pp. 41ff. Lettner, D., Thaller, D., Vierhauser, M., Rabiser, R., Grünbacher, P., Heider, W.: Supporting Business Calculations in a Product Line Engineering Tool Suite. Proc. of the Joint Workshop of the 3rd International Workshop on Model-driven Approaches in Software Product Line Engineering and the 3rd Workshop on Scalable Modeling Techniques for Software Product Lines (MAPLESCALE 2011), SPLC Workshops 2011, Munich, Germany, August 22, 2011, ACM, pp. 26ff. Pleuss, A., Rabiser, R., Botterweck, G.: Visualization Techniques for Application in Interactive Product Configuration. Proc. of the Joint Workshop of the 3rd International Workshop on Model-driven Approaches in Software Product Line Engineering and the 3rd Workshop on Scalable Modeling Techniques for Software Product Lines (MAPLESCALE 2011), SPLC Workshops 2011, Munich, Germany, August 22, 2011, ACM, pp. 22ff. Rabiser, R.: FOSD Adoption in Industry (Plenary Session Summary). In: Apel, S., Cook, W., Czarnecki, K., Nierstrasz, O. (eds. ): Report from Dagstuhl Seminar 11021 Feature-Oriented Software Development (FOSD), Dagstuhl Publishing, Germany, 2011, pp. 37-38. Dhungana, D., Seichter, D., Botterweck, G., Rabiser, R., Grünbacher, P., Benavides, D., Galindo, J.: Configuration of Multi Product Lines by Bridging Heterogeneous Variability Modeling Approaches. Proc. of the 15th International Software Product Line Conference (SPLC 2011), Munich, Germany, August 22-26, 2011, IEEE CS, pp. 120-129. Vierhauser, M., Holl, G., Rabiser, R., Grünbacher, P., Lehofer, M., Stürmer, U.: A Deployment Infrastructure for Product Line Models and Tools. Proc. of the 15th International Software Product Line Conference (SPLC 2011), Munich, Germany, August 22-26, 2011, IEEE CS, pp. 287-294. Rabiser, R., Benavides, D.: Variability Modeling of Diverse Systems. In: I. Schaefer (ed): Survey on Diversity Awareness and Management, Deliverable 2.1 of the EternalS Coordination Action (FP7-247758), supported by the 7th Framework Programme of the EC within the FET (Future and Emerging Technologies) scheme, 2011, pp. 7-15. Rabiser, R., Botterweck, G.: Evolution of Diverse Systems. In: I. Schaefer (ed): Survey on Diversity Awareness and Management, Deliverable 2.1 of the EternalS Coordination Action (FP7-247758), supported by the 7th Framework Programme of the EC within the FET (Future and Emerging Technologies) scheme, 2011, pp. 38-42. Schmid, K., Rabiser, R., Grünbacher, P.: A Comparison of Decision Modeling Approaches in Product Lines. 5th International Workshop on Variability Modelling of Software-intensive Systems (VaMoS 2011), Namur, Belgium, January 26-29, 2011, ACM ICPS, ACM Press, pp. 119-126. Holl, G., Vierhauser, M., Heider, W., Grünbacher, P., Rabiser, R.: Product Line Bundles for Tool Support in Multi Product Lines. 5th International Workshop on Variability Modelling of Software-intensive Systems (VaMoS 2011), Namur, Belgium, January 26-29, 2011, ACM ICPS, ACM Press, pp. 21-28. Mazo, R., Grünbacher, P., Heider, W., Rabiser, R., Salinesi, C., Diaz, D.: Using Constraint Programming to Verify DOPLER Variability Models. 5th International Workshop on Variability Modelling of Software-intensive Systems (VaMoS 2011), Namur, Belgium, January 26-29, 2011, ACM ICPS, ACM Press, pp. 97-104. Dhungana, D., Grünbacher, P., Rabiser, R.: The DOPLER Meta-Tool for Decision-Oriented Variability Modeling: A Multiple Case Study. Automated Software Engineering, Springer, vol. 18(1), pp. 77-114, 2011. Rabiser, R., O'Leary, P., Richardson, I.: Key Activities for Product Derivation in Software Product Lines. The Journal of Systems and Software, Elsevier, vol. 84(2), pp. 285-300, 2011. Thiel, S., Rabiser, R., Dhungana, D., Cawley, C.: 3rd International Workshop on Visualisation in Software Product Line Engineering (VISPLE 2010). Proc. of the 14th International Software Product Line Conference (SPLC 2010), Jeju Island, Korea, September 13-17, 2010, Springer LNCS 6287, p. 527. Dhungana, D., Groher, I., Rabiser, R., Thiel, S.: 2nd International Workshop on Model-Driven Approaches in Software Product Line Engineering (MAPLE 2010). Proc. of the 14th International Software Product Line Conference (SPLC 2010), Jeju Island, Korea, September 13-17, 2010, Springer LNCS 6287, p. 525. Heider, W., Grünbacher, P., Rabiser, R.: Negotiation Constellations in Reactive Product Line Evolution. 4th International Workshop on Software Product Management (IWSPM 2010), in conjunction with 18th IEEE International Requirements Engineering Conference (RE'10), Sydney, Australia, Sept 27 - Oct 1, 2010, IEEE CS, pp. 63-66. Heider, W.: Reactive and Iterative Evolution of Model-based Product Lines. Doctoral Symposium at the 18th IEEE International Requirements Engineering Conference (RE'10), Sydney, Australia, Sept 27 - Oct 1, 2010 (accepted for publication). Vierhauser M., Grünbacher P., Egyed A., Rabiser R., Heider W.: Flexible and Scalable Consistency Checking on Product Line Variability Models. 25th IEEE/ACM International Conference on Automated Software Engineering (ASE 2010), Antwerp, Belgium, September 20-24, 2010, ACM, pp. 63-72. Dhungana, D., Rabiser, R., Seyff, N., Botterweck, G.: Proceedings of the 1st International Workshop on Automated Configuration and Tailoring of Applications (ACoTA 2010), Antwerp, Belgium, September 20, 2010. CEUR-WS Vol-688, 2010. Rabiser R., Grünbacher P., Holl G.: Improving Awareness during Product Derivation in Multi-User Multi Product Line Environments 1st International Workshop on Automated Configuration and Tailoring of Applications (ACoTA 2010) in conjunction with 25th IEEE/ACM International Conference on Automated Software Engineering (ASE'10),	Antwerp, Belgium, September 20-24, 2010, CEUR-WS, pp. 1-5. Rabiser, R., Heider, W., Elsner, C., Lehofer, M., Grünbacher, P., Schwanninger, C.: A Flexible Approach for Generating Product-Specific Documents in Product Lines. Proc. of the 14th International Software Product Line Conference (SPLC 2010), Jeju Island, South Korea, September 13-17, 2010, LNCS 6287, Springer-Verlag Berlin Heidelberg 2010, pp. 47-61. Heider, W., Froschauer, R., Grünbacher, P., Rabiser, R, Dhungana, D.: Simulating Evolution in Model-based Product Line Engineering, Information and Software Technology, vol. 52(7), pp. 758-769, 2010. Dhungana, D., Grünbacher, P., Rabiser, R., Neumayer, T.: Structuring the Modeling Space and Supporting Evolution in Software Product Line Engineering The Journal of Systems and Software, vol. 83(7), pp. 1108-1122, 2010. Rabiser, R., Grünbacher, P., Dhungana, D.: Requirements for Product Derivation Support: Results from a Systematic Literature Review and an Expert Survey. Information and Software Technology, vol. 52(3), pp. 324-346, 2010. Benavides, D., Batory, D., Grünbacher, P. (eds. ): Proceedings of the Fourth International Workshop on Variability Modelling of Software-intensive Systems (VaMoS 2010), ICB-Research Report No. 37, Univ. Duisburg-Essen, January 2010, ISSN 1860-2770. Vierhauser, M., Dhungana, D., Heider, W., Rabiser, R., Egyed, A.: Tool Support for Incremental Consistency Checking on Variability Models. Proc. 4th International Workshop on Variability Modelling of Software-intensive Systems (VaMoS 2010), Linz, Austria, January 27-29, 2010, ICB-Research Report No. 37, University of Duisburg Essen, pp. 171-174. Dhungana, D., Heymans, P., Rabiser, R.: A Formal Semantics for Decision-oriented Variability Modeling with DOPLER. Proc. 4th International Workshop on Variability Modelling of Software-intensive Systems (VaMoS 2010), Linz, Austria, January 27-29, 2010, ICB-Research Report No. 37, University of Duisburg Essen, pp. 29-35. 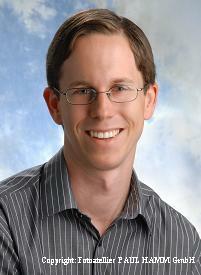 Heider, W., Rabiser, R.: Tool Support for Evolution of Product Lines through Rapid Feedback from Application Engineering. Proc. 4th International Workshop on Variability Modelling of Software-intensive Systems (VaMoS 2010), Linz, Austria, January 27-29, 2010, ICB-Research Report No. 37, University of Duisburg Essen, pp. 167-170. Grünbacher, P., Rabiser, R., Dhungana, D., Lehofer, M.: Model-based Customization and Deployment of Eclipse-Based Tools: Industrial Experiences. 24th IEEE/ACM International Conference on Automated Software Engineering (ASE 2009), November 16-20, 2009, Auckland, New Zealand, IEEE/ACM, 2009, pp. 247-256. Heider, W., Rabiser, R., Dhungana, D., Grünbacher, P.: Tracking Evolution in Model-based Product Lines. 1st International Workshop on Model-driven Approaches in Software Product Line Engineering (MAPLE 2009), Proc. (vol 2) of the 13th International Software Product Line Conference (SPLC 2009), San Francisco, CA, USA, August 24, 2009 Software Engineering Institute, CarnegieMellon, 2009, pp. 59-63. O'Leary, P., Rabiser, R., Richardson, I., Thiel, S.: Important Issues and Key Activities in Product Derivation: Experiences from Two	Independent Research Projects. Proc. of the 13th International Software Product Line Conference (SPLC 2009), August 24-28, 2009, San Francisco, CA, USA, ACM International Conference Proceeding Series; Vol. 446, CarnegieMellon University, 2009, pp. 121-130. Rabiser, R., Dhungana, D., Heider, W., Grünbacher, P.: Flexibility and End-User Support in Model-based Product Line Tools. Proc. of the 35th EUROMICRO SEAA Conference 2009, August 27-29, 2009, Patras, Greece, IEEE CS, pp. 508-511. Grünbacher, P., Rabiser, R., Dhungana, D., Lehofer, M.: Structuring the Product Line Modeling Space: Strategies and Examples. Proc. of the Third International Workshop on Variability Modelling of Software-intensive Systems (VaMoS 2009), Sevilla, Spain, January 28-30, 2009, ICB-Research Report No. 29, University of Duisburg Essen, pp. 77-82. Rabiser, R., Wolfinger, R., Grünbacher, P.: Three-level Customization of Software Products Using a Product Line Approach. Proc. of the 42nd Hawaii International Conference on System Sciences, HICSS-42, Waikoloa, Big Island, Hawaii, USA, January 5-8, 2009, IEEE CS, pp. 1-10. Grünbacher, P., Rabiser, R., Dhungana, D.: Product Line Tools Are Product Lines Too: Lessons Learned from Developing a Tool Suite, Proc. of the 23rd IEEE/ACM International Conference on Automated Software Engineering, L'Aquila, Italy, September 15-19, 2008 IEEE/ACM, pp.351-354. Dhungana, D., Grünbacher, P.: Understanding Decision-Oriented Variability Modelling, First Workshop on Analyses of Software Product Lines, in collocation with the 12th International Software Product Line Conference, Limerick, Ireland, Proceedings The Second Volume, Lero, 2008, pp. 233-242. Rabiser, R.: Flexible and User-Centered Visualization Support for Product Derivation, 2nd International Workshop on Visualisation in Software Product Line Engineering (ViSPLE 2008), in collocation with the 12th International Software Product Line Conference, Limerick, Ireland, Proceedings The Second Volume, Lero, 2008, pp. 323-328. Rabiser, R., Healy, P., Nestor, D., Sellier, D., Mannion, M.: 2nd International Workshop on Visualisation in Software Product Line Engineering. Proc. of the 12th International Software Product Line Conference (SPLC 2008), Limerick, Ireland, IEEE CS, 2008, p. 388. Dhungana, D., Neumayer, T., Grünbacher, P., Rabiser, R.: Supporting Evolution in Model-based Product Line Engineering. Proc. of the 12th International Software Product Line Conference (SPLC 2008), Limerick, Ireland, IEEE CS, 2008, pp. 319-328. Froschauer, R., Dhungana, D., Grünbacher, P.: Runtime Adaptation of IEC 61499 Applications Using Domain-specific Variability Models, 2nd International Workshop on Dynamic Software Product Lines (DSPL 2008), in collocation with the 12th International Software Product Line Conference, Limerick, Ireland, Proceedings The Second Volume, Lero, 2008, pp. 39-44. Froschauer, R., Dhungana, D., Grünbacher, P.: Managing the Life-cycle of Industrial Automation Systems with Product Line Variability Models. 34th EUROMICRO Conference on Software Engineering and Advanced Applications (SEAA) Parma, Italy, September 3rd - 5th, 2008 (to appear). Wolfinger, R., Reiter, S., Dhungana, D., Grünbacher, P., Prähofer, H., Supporting Runtime System Adaptation through Product Line Engineering and Plug-in Techniques. Seventh International Conference on Composition-Based Software Systems (ICCBSS 2008), Madrid, Spain, 25-29 Feb. 2008, pp. 21-30. Dhungana, D., Neumayer, T., Grünbacher, P., Rabiser, R.: Supporting Evolution of Product Line Architectures With Variability Model Fragments. Proc. of the Working IEEE/IFIP Conference on Software Architecture, WICSA 2008, Vancouver, Canada, IEEE CS, 2008, pp. 327-330. Rabiser, R., Dhungana, D., Grünbacher, P., Burgstaller, B.: Value-Based Elicitation of Product Line Variability: An Experience Report. Proc. of the Second International Workshop on Variability Modelling of Software-intensive Systems (VAMOS 2008), Essen, Germany, ICB-Research Report No. 22, University Duisburg Essen, 2008, pp. 73-79. Clotet, R., Dhungana, D., Franch, X., Grünbacher, P., López, L., Marco, J., Seyff, N.: Dealing with Changes in Service-Oriented Computing Through Integrated Goal and Variability Modeling. Proc. of the Second International Workshop on Variability Modelling of Software-intensive Systems (VAMOS 2008), Essen, Germany, ICB-Research Report No. 22, University Duisburg Essen, 2008, pp. 43-52. Dhungana, D., Rabiser, R., Grünbacher, P., Neumayer, T.: Integrated Tool Support for Software Product Line Engineering. Integrated Tool Support for Software Product Line Engineering. Proceedings of the 22nd IEEE/ACM International Conference on Automated Software Engineering (ASE 2007), Atlanta, Georgia, USA, November 5-9, 2007, ACM, pp. 533-534. Rabiser, R., Dhungana, D., Grünbacher, P., Lehner, K., Federspiel, C.: Involving Non-Technicians in Product Derivation and Requirements Engineering: A Tool Suite for Product Line Engineering. Tool Demonstration, Proceedings of the 15th IEEE International Requirements Engineering Conference (RE’07), New Delhi, India, October 15-19, 2007, IEEE CS, pp. 367-368. Dhungana, D., Grünbacher, P., and Rabiser, R.: Domain-specific Adaptations of Product Line Variability Modeling. In J. Ralyté, S. Brinkkemper, and B. Henderson-Sellers, Situational Method Engineering: Fundamentals and Experiences, Proceedings of the IFIP WG 8.1 Working Conference, 12-14 September 2007, Geneva Switzerland, pp. 238-251. International Federation for Information Processing, Springer Series in Computer Science, 2007. Dhungana, D., Rabiser, R., Grünbacher, P., Lehner, K., Federspiel, C.: DOPLER: An Adaptable Tool Suite for Product Line Engineering. 11th International Software Product Line Conference (SPLC 2007), Tool Demonstration, Proceedings: The Second Volume, Kyoto, Japan, pp. 151-152. Kindai Kagaku Sha Co. Ltd., 2007. Rabiser, R., Grünbacher, P., Dhungana, D.: Supporting Product Derivation by Adapting and Augmenting Variability Models. Proceedings of the 11th International Software Product Line Conference (SPLC 2007), Kyoto, Japan, pp. 141-150. IEEE CS, 2007. Rabiser, R., Dhungana, D., Grünbacher, P.: Tool Support for Product Derivation in Large-Scale Product Lines: A Wizard-based Approach. 1st International Workshop on Visualisation in Software Product Line Engineering (ViSPLE 2007), 11th International Software Product Line Conference (SPLC 2007), Proceedings: The Second Volume, Kyoto, Japan, pp. 119-124. Kindai Kagaku Sha Co. Ltd., 2007. Rabiser, R., Dhungana, D.: Integrated Support for Product Configuration and Requirements Engineering in Product Derivation. 33rd EUROMICRO Conference on Software Engineering and Advanced Applications (EUROMICRO-SEAA’07), Lübeck, Germany, August 27-31, 2007, pp. 219-228. Grünbacher, P., Dhungana, D., Seyff, N., Quintus, M., Clotet, R., Franch, X., López, L., Marco, J.: Goal and Variability Modeling for Service-oriented System: Integrating i* with Decision Models. In: Proceedings of Software and Services Variability Management Workshop - Concepts Models and Tools. Helsinki, Finland, 19-20 April 2007, pp. Pages: 99-104. Dhungana D, Grünbacher P, Rabiser R, DecisionKing: A Flexible and Extensible Tool for Integrated Variability Modeling. In K. Pohl, P. Heymans, K.-C. Kang, and A. Metzger, First International Workshop on Variability Modelling of Software-intensive Systems - Proceedings, pp. 119-128. Lero - Technical Report 2007-01, 2007. Rabiser, R., Dhungana, D., Grünbacher, P. Lehner, K., Federspiel, C.: Product Configuration Support for Nontechnicians: Customer-Centered Software Product-Line Engineering. In. : Carsten Sinz and Albert Haag (Eds. ): Configuration. IEEE Intelligent Systems, 22(1) Jan/Feb 2007. Dhungana, D., Rabiser, R., Grünbacher, P.: Decision-Oriented Modeling of Product Line Architectures. Sixth Working IEEE/IFIP Conference on Software Architecture, WICSA 2007, Mumbai, India, January 6 - 9 2007, p. 22. Dhungana, D., Rabiser, R., Grünbacher, P.: Coordinating Multi-Team Variability Modeling in Product Line Engineering. Second International Workshop on Supporting Knowledge Collaboration in Software Development, Tokyo, Japan, Sept, 2006. Rabiser, R.: Facilitating the Involvement of Non-Technicians in Product Configuration. Proceedings of the Software Product Lines Doctoral Symposium. In conjunction with the 10th Software Product Lines International Conference - SPLC, Baltimore, MD, USA, August, 2006. Dhungana, D.: Integrated Variability Modeling of Features and Architecture in Software Product Line Engineering. Doctoral Symposium,	21st IEEE International Conference on Automated Software Engineering (ASE'06), 2006, pp. 327-330. Dhungana, D., Rabiser, R., Grünbacher, P., Prähofer, H., Federspiel, Ch., Lehner, K.: Architectural Knowledge in Product Line Engineering: An Industrial Case Study. Proceedings of the 32nd EUROMICRO Conference on Software Engineering and Advanced Applications (EUROMICRO-SEAA'06), Cavtat/Dubrovnik (Croatia), September 2006. Rabiser, R., Dhungana, D., Grünbacher, P.: Integrating Knowledge-Based Product	Configuration and Product Line Engineering: An Industrial Example. Proceedings of the ECAI 2006 Workshop on Configuration, Carsten Sinz, Albert Haag (Eds. ), affiliated with the	17th European Conference on	Artificial Intelligence, Riva del Garda, Italy, August 28-29, 2006, pp. 48-50. Article about the Dopler project in the Rundschau newspaper (n German). 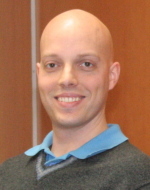 Paul Grünbacher is an associate professor at Johannes Kepler University Linz and senior researcher in the Christian Doppler Laboratory for Automated Software Engineering. Wolfgang Heider is a PhD student in the Christian Doppler Laboratory for Automated Software Engineering at Johannes Kepler University Linz. Gerald Holl is a PhD student in the Christian Doppler Laboratory for Automated Software Engineering at Johannes Kepler University Linz. 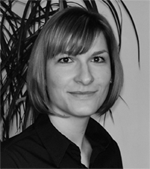 Daniela Lettner is a student researcher in the Christian Doppler Laboratory for Automated Software Engineering at Johannes Kepler University Linz. 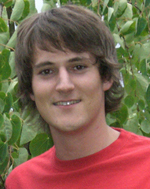 Rick Rabiser is a postdoctoral researcher in the Christian Doppler Laboratory for Automated Software Engineering at Johannes Kepler University Linz. Daniel Thaller is a student researcher in the Christian Doppler Laboratory for Automated Software Engineering at Johannes Kepler University Linz. Deepak Dhungana was a postdoctoral researcher in the Christian Doppler Laboratory for Automated Software Engineering at Johannes Kepler University Linz. Thomas Neumayer was a student researcher in the Christian Doppler Laboratory for Automated Software Engineering at Johannes Kepler University Linz.